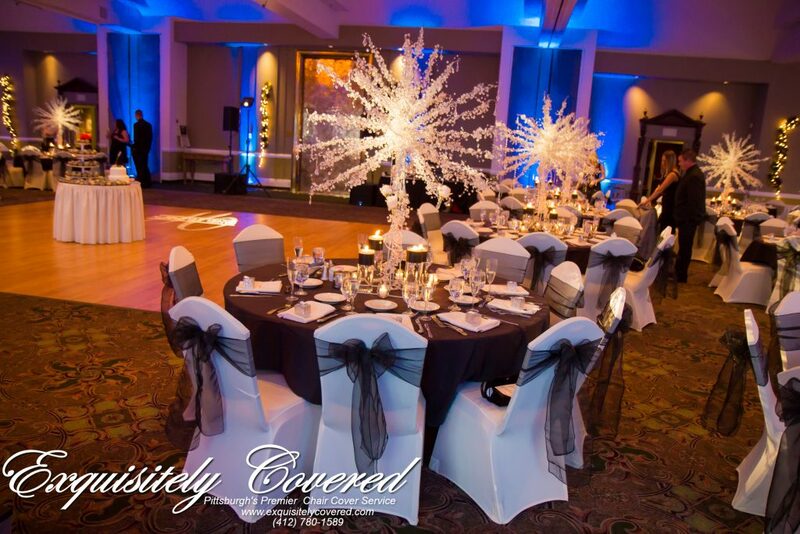 Exquisitely Covered offers chair cover services in the Pittsburgh area, perfect for any wedding or special occasion. Don’t allow old or dingy chairs to ruin your formal table setting. On your special day, impress your guests with our beautiful stain and wrinkle resistant banquet chair covers at an affordable price. Our site is currently under construction. Please visit us on Facebook!